I highlighted my love for handbags and introduced my new on goings series "To Have & To Hold" post last week. Recently I have developed a crush on Drew, "I fell in love slowly and then all at once” that quote is a pretty spot on description of my shopping trips for the most part. Sometimes this is the case other times it is a love at first sight scenario followed by me B -lining for the nearest register. Am I the only one to fall prey to this whirlwind experience of purchasing a handbag or any designer item for that matter? On that note I am sharing few best purchasing practices focusing on research, relationships and my hands on approach. In order to assist with ensuring your handbag purchases are a prefect addition to your wardrobe today, tomorrow, and years from now. Are you a repeat offender? I'm guilty of being the black handbag culprit for the most part I actually take pride in this. If you are anything like me you LOVE black and believe that forever and always "black is the new black". At the other end of the spectrum I have friends who specialize in rocking brightly hued bags. It is also important to assess the styles, shapes, and colors currently in your closet. Let's say you love a large statement bag but find they are too heavy so you never use them. Well I hate to be the bearer of bad news but you may not want to invest in any more heavy large bags. 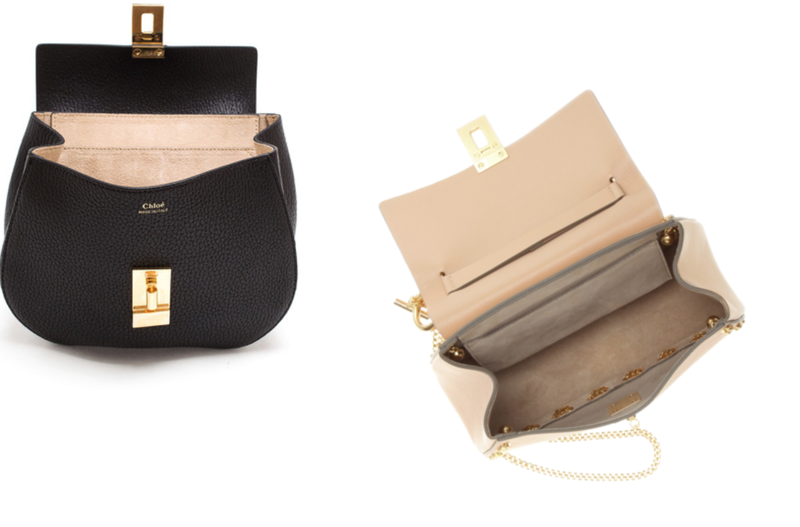 Vice versa you love the look of a small mini but find you have to carry your mini a "never full" and a "longchamp"? Perhaps it s time to up grade to a multi tasking bag and phase out minis. Bottom line ensure you asses your current situation and collection prior to making additions. Know your budget and what you are able to spend not what you want to be able to spend. Designer items DO go on sale and some brands quite often. Patience and timing can be your friend here. You can also opt to purchase pre-owned thanks to resellers like Fashionphile, The Real Real and PoshMark to name a few. However, ensure that you are truly saving and that you are not sacrificing condition, quality, or authenticity for a minimal discount.By educating yourself on the actual market value and retail price of the handbag you are contemplating you give yourself and enormous amount of purchasing power. 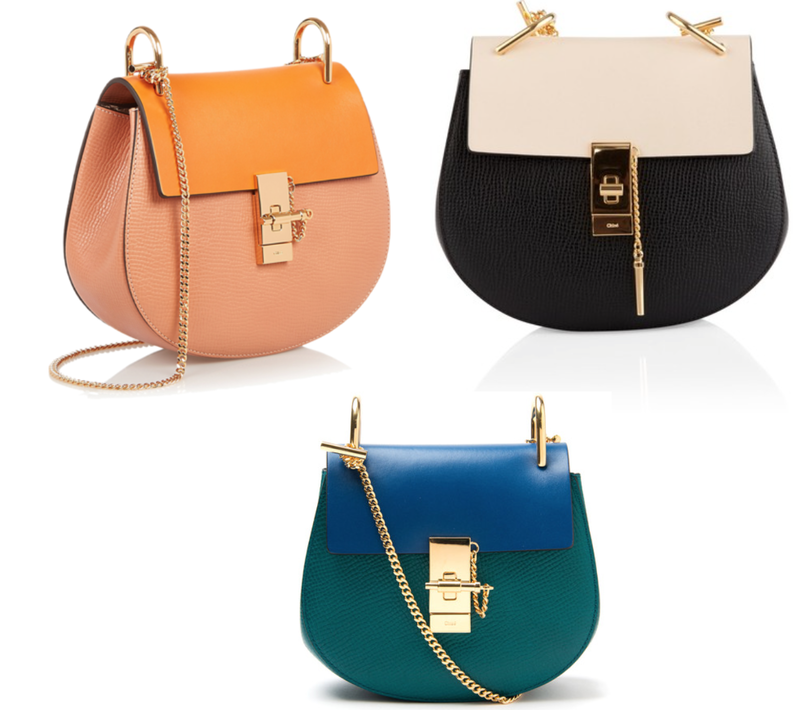 Remember that stylish bags come in an array of price points from and array of designers. From Claire V. to Chanel do your homework. Size matters ensure you know what sizing options are available as size can affect everything from price, availability, color options, and even ascetics. 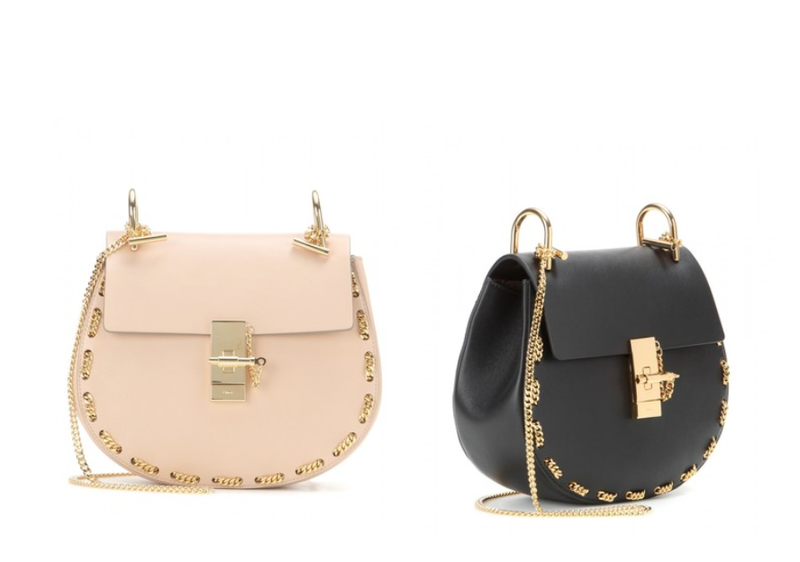 For example the featured Chloe Drew bags ascetic undergoes a hardware chain amendment when the bag reaches the medium size and a leather strap is incorporated into the design. While you are researching and educating yourself on products this is a great time to build relationships with sales associates and staff.Whether it is a local reseller, brand boutique, or a large "big box" department store investing in relationships is extremely important. Sales associates and staff become experts and are truly a wealth of knowledge and guess what in most cases they are happy to help you find the perfect handbag. Building relationships may lead to greater product availability for future limited edition or highly coveted bags such as the Mansur Gavriel bucket bag. "Big box" retailers such as Nordstrom and Neiman Marcus to name a few periodically have sales and wouldn't it be nice to be added to those early alert sale lists? In addition "outlet stores" receive product on specific days, do you have a friend who always seems to find the best bargain buys? Perhaps they have built up relationships and know when highly coveted products arrive. If you have the opportunity to get your hands on the bag you are contemplating purchasing do it!If you do not have an opportunity to touch feel and experience your handbag prior to purchasing ensure you have educated yourself on the retailers return policy. Take a look at the construction of the bag does it meet your standards are you happy with the lining, stitching and overall construction. Are all indicators of authenticity present date codes, stickers, and stamps? Will your wallet, cell phone, and everyday essentials fit? Is the handbag awkwardly shaped or extremely heavy empty? Basically if you love your passport wallet and can't live without it this featured Chloe Drew handbag is not an optimal choice for you. Often this “hands on” approach can be a difficult pill to swallow and is not what shopping fairy tales are made of. However, I am putting things in perspective as overtime a handbag that is never used other then to fill a dust bag and take up space in your closet is not a happy ending. The most important thing when purchasing a handbag whether it is brand new or new to you ensure you love the piece and can see it as a functional staple in your wardrobe. Your handbag should be a piece you enjoy that is a reflection of you and your personal style. Is there a handbag you have your eye on? This is a great post - I think my fave is the black/white one! So chic! I agree such a classic color combo! Thank you for this. I'm always marinating whether to splurge or try not to choose the same color every time. The Drew bag is on my wishlist for ages! It's a perfect bag! It is a gorgeous bag Nadya I hope you have a great weekend! Love this post! Very informative! Nice bags!I really want Chanel bag. Thanks Andrea, Chanel is always a classic choice. I love the shape of those bags like little satchels!! Me too Danika I am obsessed! Thank you for these tips! I'll definitely keep these in mind next time I'm splurging on an handbag. These bags a so adorable! I really want one! Naomi all purchases matter so weigh your options. Such good advice! Research is so important, and so is waiting. A lot of times if I ponder a purchase for a while I find that I really don't want the item as much as I had thought. When it sticks with me then I know it's something that I wont regret. Great tips! it is so easy to get carried away when you have a bag obsession.